With the plethora of weddings and vacations throughout summer, it’s often hard to get my group of girlfriends together all at one time. That’s why I always like to plan a little gathering for catching up over cocktails! 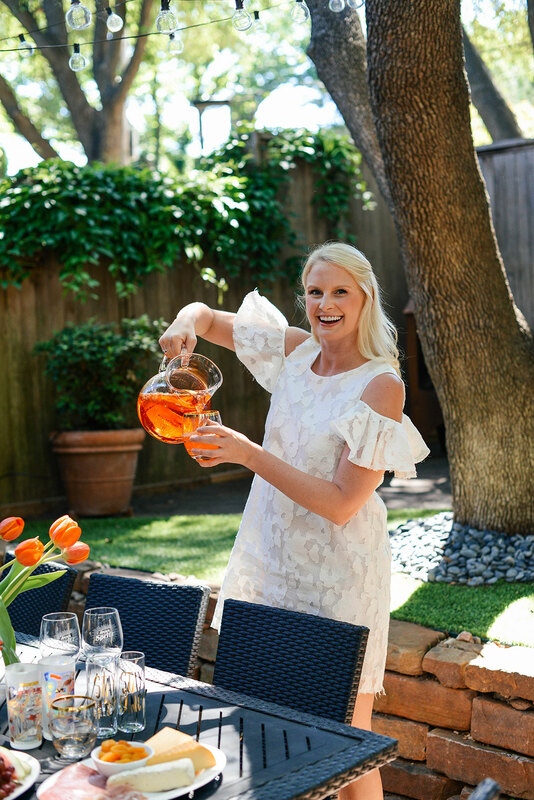 Right now Texas is in its sweet spot – it’s not too hot yet (surprisingly), which means it’s time to take those drinks al fresco. 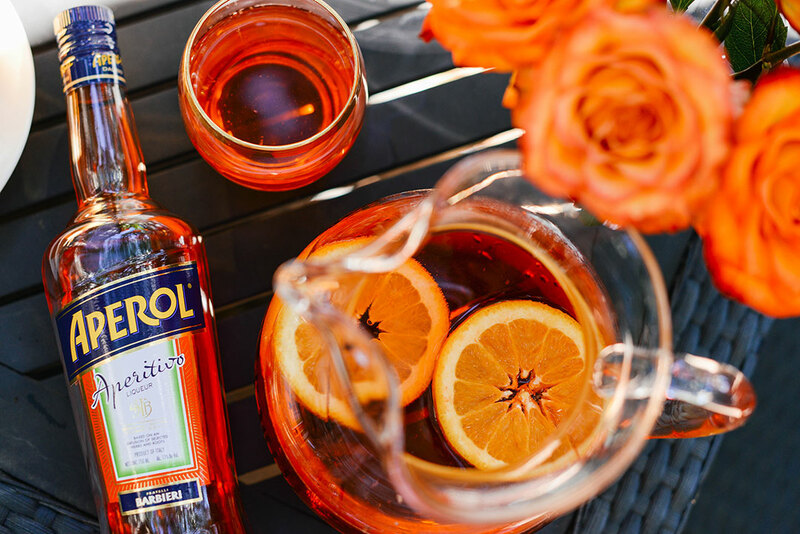 One of my favorite cocktails to have during summertime is an Aperol Spritz. This bright orange liquor gives any drink a refreshing touch of citrus without being super sweet. 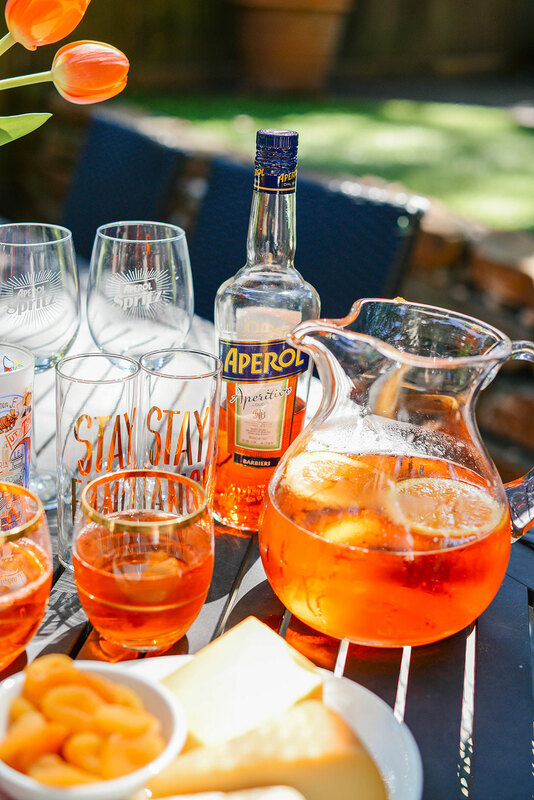 Aperol hails from Italy, so if you’ve traveled there, you may have recognized it from a menu or two! into a glass with ice. Garnish with an orange slice, and you’re good to go! Since we had a big group coming over, I put it all in a big pitcher with two orange slices for easy serving and an added decorative touch. 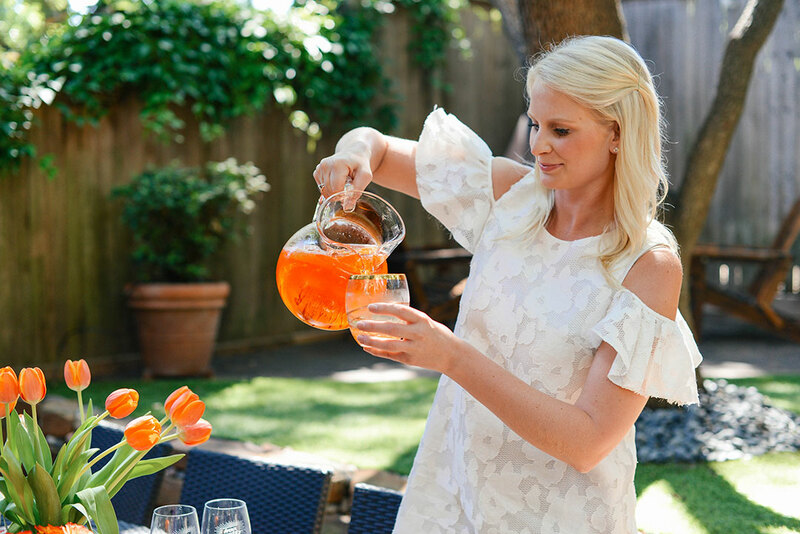 The Aperol Spritz is a sure crowd pleaser, so grab a bottle and join me for a #SpritzBreak this summer! Such fun! 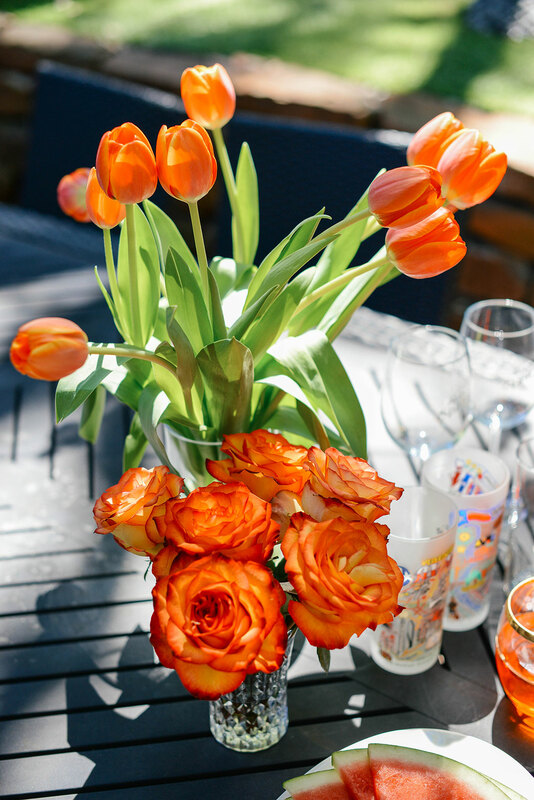 I love the interplay of orange colors and textures – and tastes! the cocktail looks delicious and I love your dress! Loving this easy drink recipe! And that dress is perfection on you! Delicious! 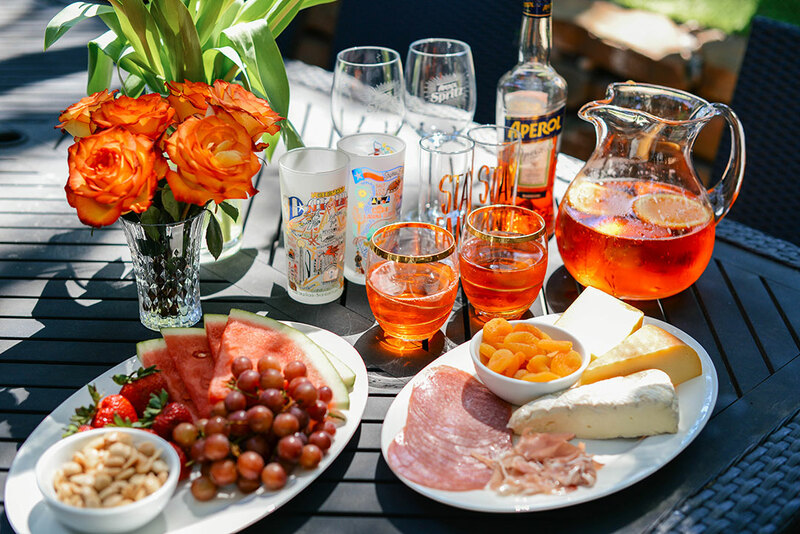 Love a good Aperol cocktail, this setup looks perfect for summer! 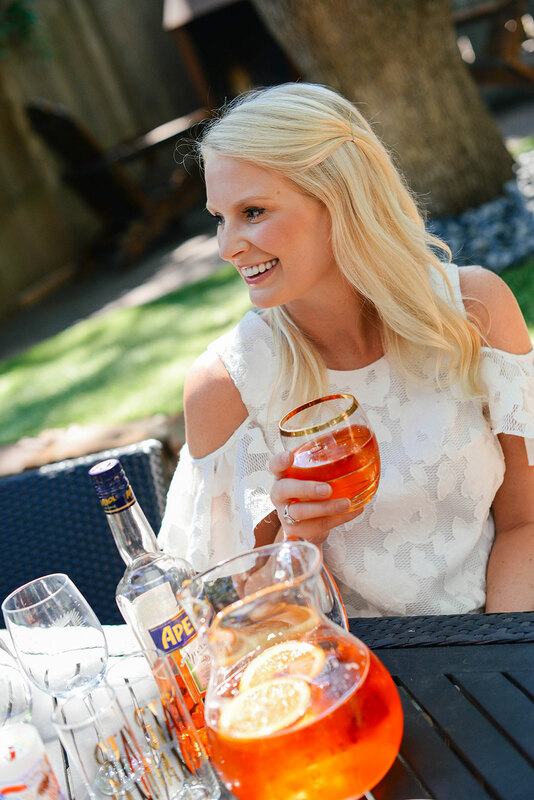 I remember my Swedish brother in law ordering an Aperol Spritz somewhere a few years ago and wondering what the heck it was, it’s funny that they are becoming so popular lately! Love your party set up. This looks so delicious! I love how fun these pictures are – so colorful. Yes to the Aperol Spritz! This looks delish! Thanks for sharing it, Merritt!